Michael Ochs Archives/Getty ImagesVans recently partnered with Led Zeppelin for a limited-edition line of shoes and apparel, and now the footwear company has announced plans to release a series David Bowie-inspired sneakers soon. While no official announcement has been made, Footwear.com reports that the Vans x Bowie collection will include four different shoes with designs taken from various albums by the late British rock icon. 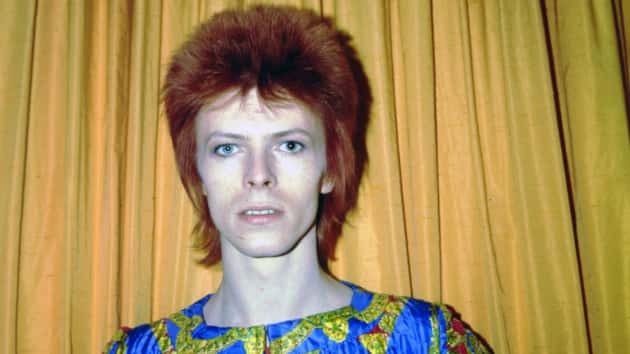 Images posted on the website show three low-top sneakers inspired, respectively, by Bowie’s 1969 self-titled U.K. album, 1971’s Hunky Dory and 1973’s Aladdin Sane. There’s also a high-top that boasts a red Bowie logo replicating the one that appears on the cover of 1974’s Diamond Dogs.